I have to admit, I have been looking forward to reading this book for quite some time, and I am pleased to say that it does not disappoint. But before I wax lyrical about the merits of said tome I believe a brief introduction would be helpful to those unfamiliar with the subject matter. 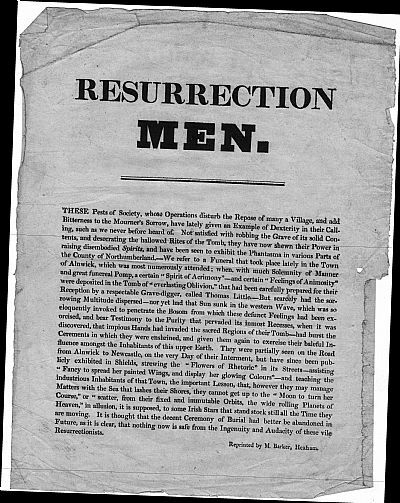 Bodysnatchers – Digging up the Untold Stories of Britain’s Resurrection Men offers a chilling insight into a now forgotten trade. Told over a ninety year period, the book is written in an easy-to-read and entertaining manner. Meticulously researched, Lennox expertly weaves her way through the material at hand, without falling into the trap of over sensationalising the evidence. That is not to say there is not the odd stomach churning moment here and there. For example, I found myself wincing over my coffee at tales of doctors and family members fighting over the ownership of a recently hanged individual, as it still swung on the gibbet! "Some surgeons....were said to visit the gallows on hanging days. Swinging on the legs of hanging victim hastened their death. But often thr men pulling and tugging on the legs of a hanged felon were doing so for very different reasons. 'Tyburn tussles' were increasing, as medical men became desperate enough for subjects to bargain or even fight with the hanged felons' relatives over their corpses." Lennox, however, offers the reader more than simple tales of rotting corpses stuffed under hedges to avoid detection. The unique relationship between the criminal fraternity and the medical profession is explored in-depth, as is the insecurity felt by communities affected by their activities. Increased attention is also given to the security of the corpse and the various methods applied to protect it. 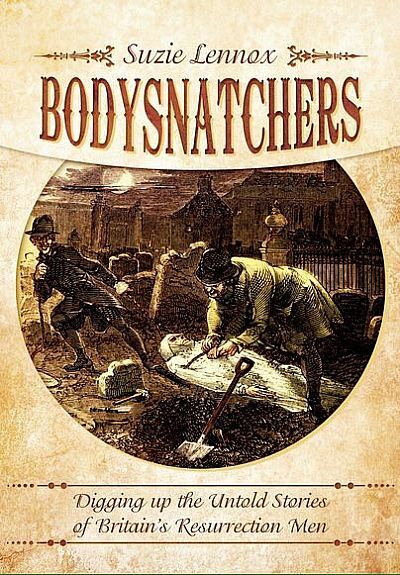 All in all, Bodysnatchers – Digging up the Untold Stories of Britain’s Resurrection Men is a thoroughly enjoyable read and offers a vivid window into the underworld of the time. I would go so far as to say that it has now become the ‘go to’ tome on the subject matter. A bookshelf must for both taphophiles and those of a morbid disposition alike. 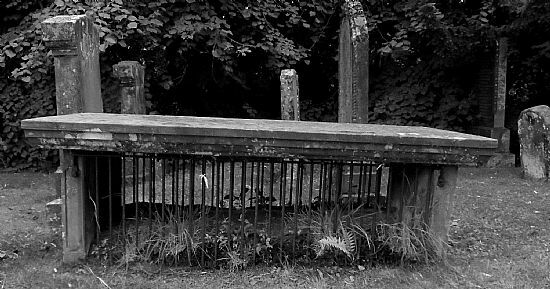 The unusual mortsafe at Luss, Argyll & Bute hopefully keeps a cadaver safe behinds its encasement. Suzie Lennox can be followed on Twitter @DiggingUp1800 or why not take a peek at her excellent blog entitled Britain’s Forgotten Bodysnatchers. Comment from Peter Adams at 12:03 on 31 May 2017. Honest and well-written review. Thank you Lorraine for your efforts.